UAH and IGS are pleased to announce the full Summer School programme for 20th-22nd June 2019! The 2019 Heritage Angel Awards NI were afforded a double launch this week. The first was held in the historic The Palace Demesne, Armagh, followed by the Belfast Launch in the UAH offices in the Old Museum Building at College Square North. 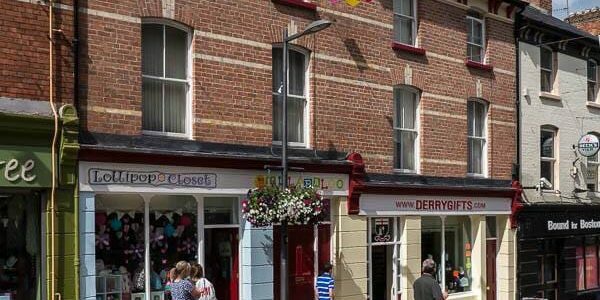 Conservation Without Frontiers: Living Towns and Villages in Cavan and Fermanagh. DEADLINE EXTENDED closes Friday 29th March! The AGM of Ulster Architectural Heritage will take place on Tuesday 2nd April at the Old Museum Building, Belfast from 7pm. Ulster Architectural Heritage is pleased to announce Heritage Angel Awards will be launched on Tuesday 2nd April 2019, in Armagh and Belfast. Invitation to Tender. 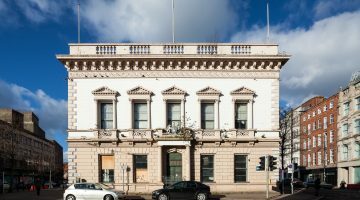 The Ulster Architectural Heritage, (UAH) and Belfast Natural History & Philosophical Society (BNHPS) invite applications to tender for the delivery of lead consultancy services for Stage 1 of the Old Museum: Back to Life project. The deadline for submission of tender response has been extended from Friday 25th January at 5pm to Monday 4th February at 12 noon. A new report from Ulster Architectural heritage casts renewed light on the vulnerability of Northern Ireland’s heritage assets and suggests new and strengthened ways in which we might better protect them. Invitation to Tender. The Ulster Architectural Heritage, (UAH) and Belfast Natural History & Philosophical Society (BNHPS) invite applications to tender for the delivery of lead consultancy services for Stage 1 of the Old Museum: Back to Life project. On 5 December 2018, the Royal Institute of the Architects of Ireland welcomed Primrose Wilson CBE as a new RIAI Honorary Member in recognition of her commitment to architectural heritage in Ireland.